We are B5. Today is our first day at school. 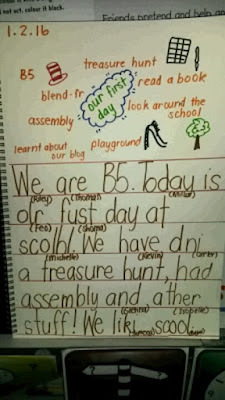 We have done a treasure hunt, had assembly and other stuff! We hope you are having a great 2016 so far. We like your picture. We can see a teddy in your photo with a cat in the cat hat on is he your classroom mascot? We live in Greymouth and we go to Grey Main School. Greymouth is in the South Island. 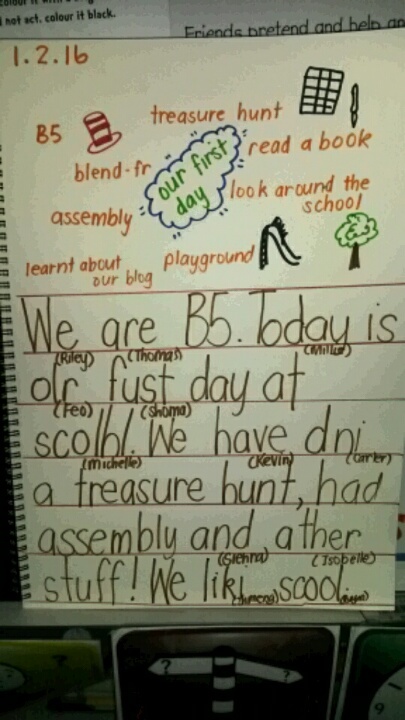 We are Room 15 and we are excited to be your blog buddies. 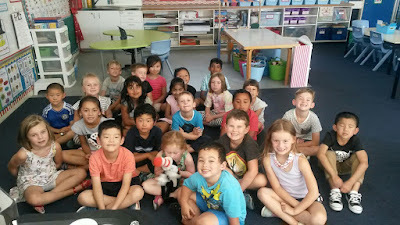 We have added a picture of us with our classroom mascot so you can have a look, her name is Molly the Monkey!